So Fashionably Frugal: The Best Oversized Sweaters Under $60! Pair them with bottoms that are fitted. 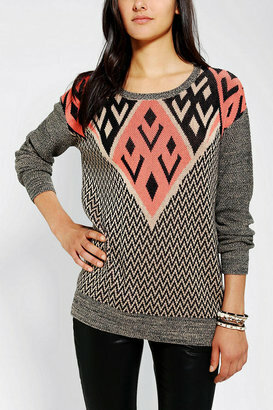 Nothing slouchy or baggy. Because the upper portion of your body has baggy clothing on it, your bottom portion should be fitted. Otherwise, your look will end up looking frumpy. And no one wants that! I'm personally all for the '90s Grunge look right now. Which is to pair them with fitted destroyed pants and combat boots. Made the pics larger this time so you can see the amazing detail in some of these! 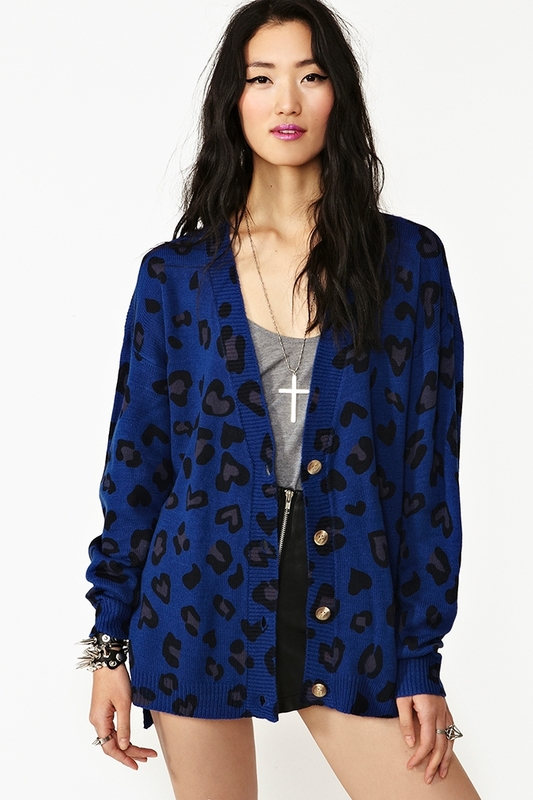 I want the blue cheetah cardigan so badly! It reminds me of a skirt by Kenzo, which happens to be my "Lust of the Week!"